She Who Must Be Obeyed called me to the window this evening. “There are some interesting clouds out there,” she said. I looked. Oh yeah… very interesting! 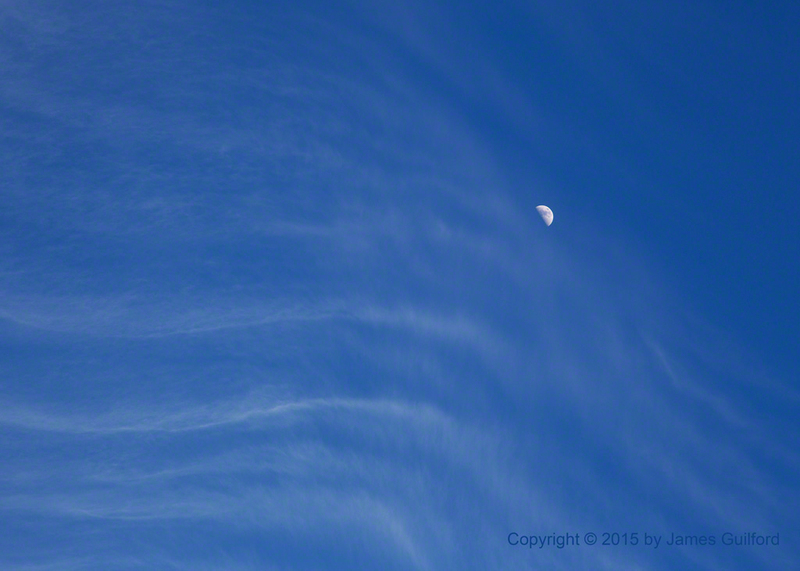 A broad line of cirrus clouds stretched across the sky, north to south, filled with wonderful detail — curves, streaks, twists — sunlit against an otherwise clear, blue sky. I grabbed my camera, stepped out to the sidewalk, and watched. 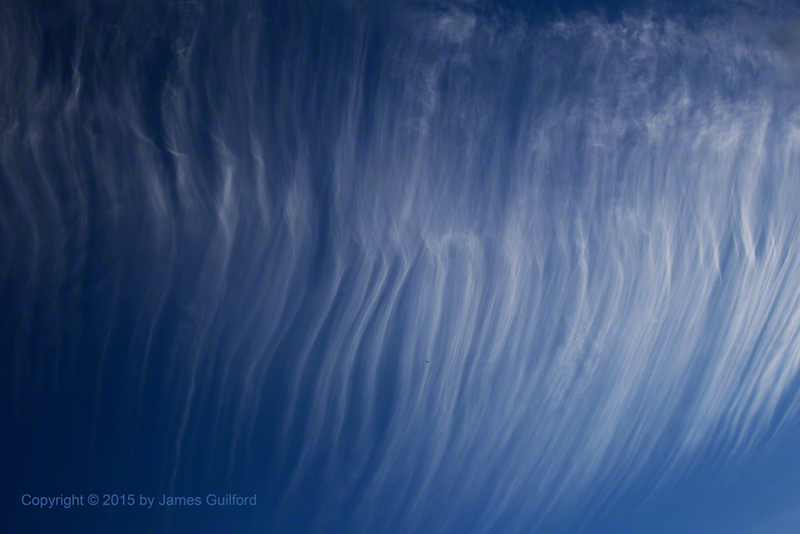 The wonderful clouds changed as the minutes passed and, too soon, flattened out and dispersed.